Akamai has released its State of the Internet report for the third quarter of 2013 and according to the study, global broadband speeds are increasing, while DDoS attacks took a slight dip near the end of last year. 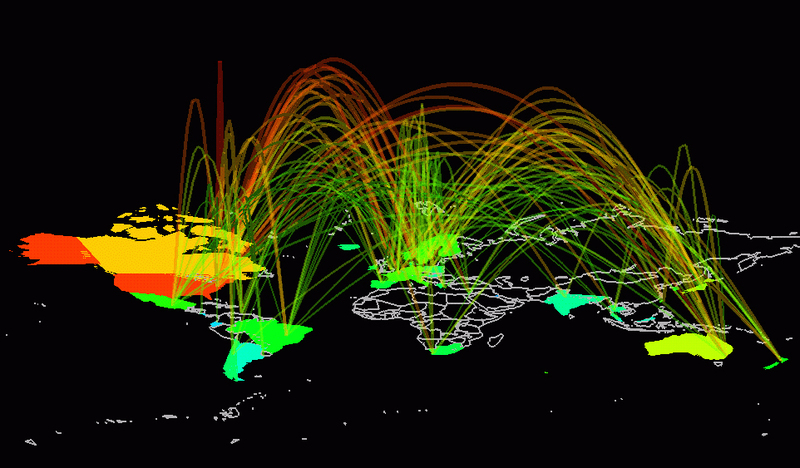 Since Akamai’s content delivery network (CDN) has servers that are close to different groups of users around the world, it is easy to tell where the Internet changes are occurring. In the 3rd quarter, there was a global increase in broadband speeds of 10% but in certain countries, that increase was far more significant. This was the case in South Korea, which saw connection speeds increase by 66%, likely as a result of its government’s large investment in infrastructure. Depending on the country, the changes in internet speeds were either minimal or quite significant. In the French island of Reunion for example, broadband speeds increased by 259% last year, allowing the country to reach an average connection speed of 6.8 Mbps. A promising trend has been the increase in high broadband (speeds above 10 Mbps) around the globe. Quarter-over-quarter, there was a 31 percent increase in adoption, reaching a total of 19 percent. Mobile data usage also increased in the 3rd quarter, continuing with a trend that had been obvious in 2012 and early 2013 as well. Although DDoS attacks are still trending upwards, with the attacks become more harmful towards businesses, the 3rd quarter did see a decrease in the number of attacks. Akamai only observed 281 attacks during the time period that it was tracking, compared to 318 in the previous quarter. This was the first time that Akamai had been able to record a quarterly decrease in the number of DDoS attacks, but when looking at attack traffic by year, the trend is still upwards. Summary: Akamai has released its State of the Internet report for the 3rd quarter of 2013. According to the data, broadband speeds have continued to rise around the world, while DDoS attacks decreased quarter-over-quarter for the first time since Akamai started to collect DDoS reports.